What Is The Bushnell Brand? Maybe you’ve recently purchased a rifle, or perhaps you’ve been looking for the right rifle scope. With dozens of rifle scopes on the market, and made by various well-known manufacturers, it can be difficult to know which one to buy. Even though rifle scopes are all designed to help you see your target more clearly, so that you can improve on your accuracy when you shoot, the quality, design features, and price all vary greatly from one brand to the next. Since a rifle scope is a financial investment that you hope will last you a lifetime, it’s a good idea to know as much as you can about a brand of scopes. In our brand review of Bushnell rifle scopes, we will talk a little bit about the Bushnell brand, the history of the company, and the rifle scopes that they carry. With all of the information that we give you, we are confident that you will be able to decide whether or not Bushnell rifle scopes are the right scopes for you. 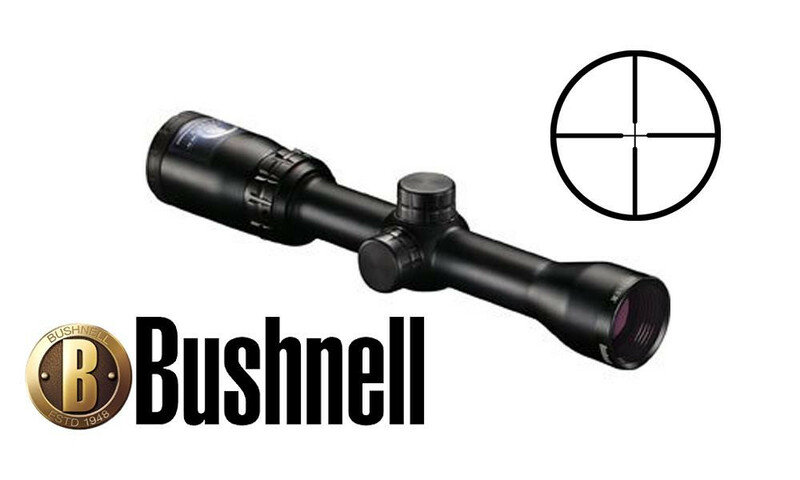 You may know the Bushnell brand for some of the company’s other products rather than riflescopes. Bushnell is famous for manufacturing and distributing sporting optics, and other outdoor products, their first product that put them on the map was their high-quality binoculars. In 1948, David P. Bushnell, a native of California, created the Bushnell brand after vacationing in Japan on his honeymoon. Bushnell returned with a few crates of binoculars and the dream of pricing them at a fair cost so that everyone could experience and enjoy a pair of binoculars; up until this point, binoculars were expensive and considered a luxury item by the affluent population. The secret to keeping his binoculars affordable was to import them from Japan, Hong Kong, and Taiwan. As the Bushnell brand expanded to manufacture rifle scopes and other optic gear, the company was sold in 1971 to Bausch & Lomb; the company name still kept the Bushnell name but became known as Bushnell Performance Optics. Over the years, Bushnell has continued to expand and has become a parent of other companies like Serengeti eyewear and Tasco, all the while continuing to manufacture and distribute rifle scopes and other products. Today, Bushnell is based out of Kansas and is a subsidiary of Vista Outdoor. Know that you know a little more about the Bushnell brand and the history of the company, let’s take a closer look at Bushnell rifle scopes. Bushnell manufactures twelve unique riflescopes, and we will give you a brief overview of each one, so you can decide which rifle scope may be ideal for you. For more in-depth specs for each scope, visit the specified category. 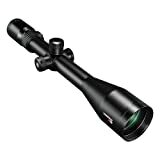 Bushnell has created a sizeable assortment of long range hunting scopes (LRHS). With expert advice and input from hunters and others who use long range hunting scopes, Bushnell created an optic just for LRHS, a type of scope that needs to perform accurately from a variety of distances. There are three models of Elite Long Range Hunter scopes. Some features of the “ultimate long-distance hunting optic” include a first focal plane G2H reticle for multiple ranges, 30mm tube for increased adjustment, RainGuard HD lens coatings, multi-coated lens, and a 2” sunshade on select scope models. The Elite 6500 rifle scopes go through rigorous test and to ensure that it can withstand all types of conditions. According to Bushnell, the Elite 6500 scopes are multi-coated optics with “95% light transmission across 300 % more of the visual light spectrum.” There are three models of Elite 6500. Some features include 100 percent waterproof, shockproof, and fogproof. Side focus, sunshade, rain protection, and a variety of reticle options. Similar to the Elite 6500, the 4500 is rigorously tested to withstand a variety of conditions from rain and fog to bright sunlight. It can also stand up against 1,000 rounds of recoil. The 4500 is available in five models. 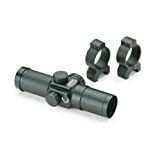 Depending on which model you choose, they are ideal for long-range shooting of small animals, perfect for low-light conditions, target shooting, or just an all-around good long range rifle scope. The Elite 3500 scopes are one of Bushnell’s newest scopes and it designed to have some of the brightest, sharpest, and clearest optics thanks to the 60 layers of coatings on each lens of the scope. This scope is available in five models. These scopes are fog, water, and shockproof and are designed for fast focus. Depending on the model you choose, the scope may be best suited for a slug gun or for big game hunting. According to Bushnell, the Legend Ultra HD was “built in the spirit of” the Legend Ultra HD binoculars. The scope is designed to withstand all conditions and has permanent RainGuard HD lens coating. The Legend Ultra HD is available in four models. Depending on the model you choose, the scopes are versatile and are effective at close and long range. Some can be used on a rifle, shotgun, or crossbow. The 3-9x 50mm model is the winner of the Outdoor Life Great Buy Award. 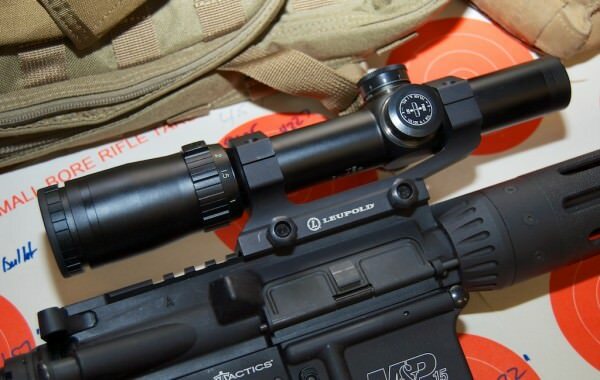 According to the company, the Engage line of rifle scopes is the “latest evolution in Bushnell optics,” and new MOA reticle features are ideal for short to mid-range targets. There are nine models. These scopes include scope covers. Visit the Engage category for more in-depth details. The Trophy scope is a shorter one-piece tube that has six reticle options and seven configurations. The Fast-Focus eyepiece helps you hit your target fast and accurately and the Trophy is available eight models, so there’s the perfect Trophy for your hunting needs. Depending on the scope you choose, some are ideal for handguns, slug guns, long-range and some have color finish options like silver or black matte. 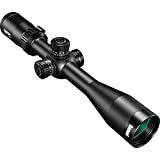 Since each of these scopes is unique, visit the category for in-depth specs on each scope model. The scopes are 100 percent water/fog/shockproof, Amber-Bright high contrast lens, and use a CR2032 battery. Each model has multiple reticles, visit the category for more options. Due to Bushnell’s popularity, their large selection of rifle scopes is available in most major sporting good stores and in online marketplaces like Amazon. The price you pay for a rifle scope will greatly depend on the model you purchase. In general, the prices range from under $70 to nearly $300. Once you find the Bushnell rifle scope that you want, you may need to take a little time to do some price comparisons, but when it comes to specific models, the price doesn’t vary too greatly. You are likely to find scopes priced a little lower online than in brick and mortar stores. Bushnell offers a variety of warranties for their rifle scopes, which are worth checking out, so you know what to expect when you purchase a scope. If you decide to purchase a pre-owned Bushnell scope, the good news is that a warranty may apply to you, but keep in mind that the scope cannot be modified or damaged. Bushnell a company that’s over six decades old definitely helps when it comes to consumers knowing the brand. For many users of the rifle scopes, it was a family tradition to use Bushnell scopes. Others purchased them because it was a name they could trust, the scopes were durable, and the price was affordable. While Bushnell scopes have an overwhelmingly positive rating from the public, some scope owners worried that the quality of the scopes has lowered over the years; others have no problems. As we read through dozens of customer reviews, most were happy with the scope, and it performed as expected. For some, the Bushnell scope was their first rifle scope purchase, and they commented on the ease of use and other features. After reading reviews and taking a closer look at the vast assortment of rifle scopes, it appears that Bushnell is still trying to make a high-quality product that’s affordable for everyone. While it’s always nice to have options, the various scopes and models may be overwhelming for someone new to the world of rifle scopes. Each rifle scope is made with high-quality materials, are durable, and better optics than other scopes. As an interested owner of a Bushnell rifle scope, the biggest downside is that you’ll need to spend a little time doing your own research to see which one is the best fit for you. One of the benefits of considering a Bushnell rifle scope is that the company has years of experience in manufacturing scopes and despite the decades of experience they are still making improvements and winning awards.